Graham Smith of Dunn-Ross fisheries started work in the fish market when he was fifteen. Not content with serving fish he then did catering at Highlands College where he became a fully qualified chef. Naturally, with that background, help and advice on cooking and serving your purchases, no matter how exotic or intimidating they may seem, is part of the service. As it does to many young men, an adventurous seems so attractive! Unlike most though, he didn't join the forces or take a year out, he went and worked on deep sea fishing boats for five years! So, he knows how to prepare fish, how to cook fish and just how hazardous it can be catching them! 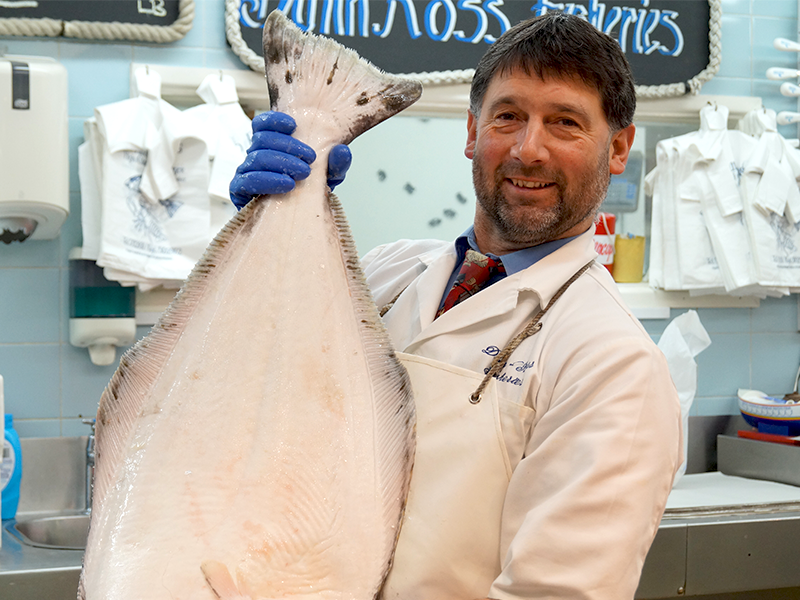 Graham founded Dunn-Ross Fisheries in 1998 with the intention of using all his undoubted expertise to provide a service which would make one of nature's healthiest foods not only good for you, but fresh and irresistible. Straight from sea to plate! In pursuit of this ideal of excellence, Dunn-Ross Fisheries are prime supporters of the local fishing fleet. There is something for everyone who fancies eating fishily. 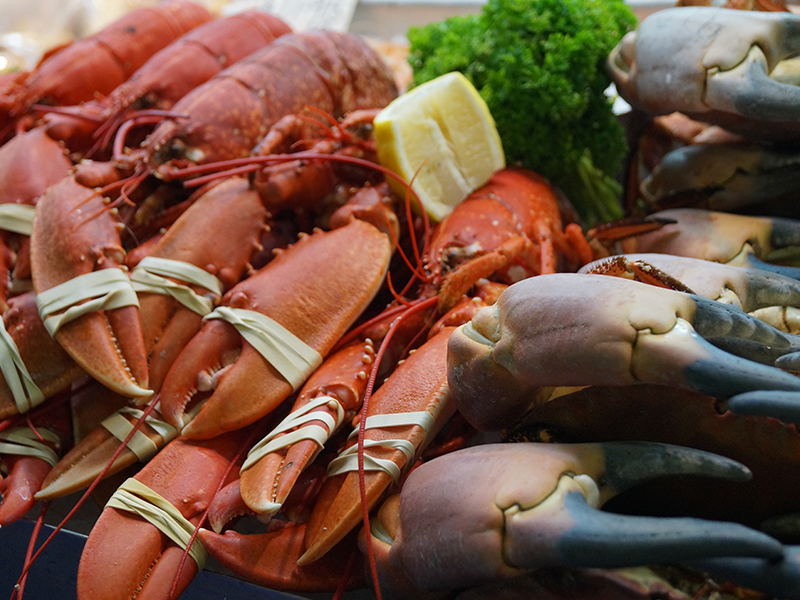 Seafood platters are a speciality, there is wild caught salmon and game birds in season, locally caught shellfish and daily deliveries to hotels, restaurants and caterers. There is also always local crab, lobster and oysters on offer.